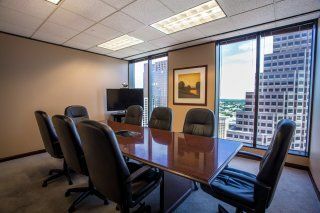 The office styles available for rent at One Congress Plaza are window and interior private and shared office suites as well as coworking spaces in an open floor plan area. These come fully furnished and wired, ready to move in. You can also request modifications be made by notifying the management staff. 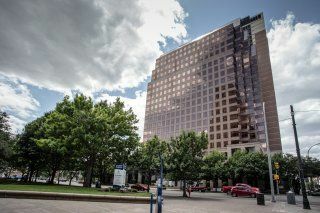 One Congress Plaza at 100 Congress Ave is a feature of the Austin skyline and offers panoramic views of the city from its upper floors. You will be able to see all the neighborhoods like Clarksville, Zilker and Westfield. You will also be able to see down the Colorado River and take in the beauty of that natural resource. The building features an on-site fitness center that is accessible to any tenant. 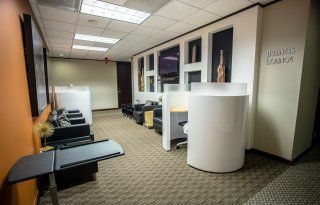 There are also on-site banking services and cafes. These are open during normal business hours and can be accessessed once you move in. There is also a conference room with state of the art audio and visual equipment inside. 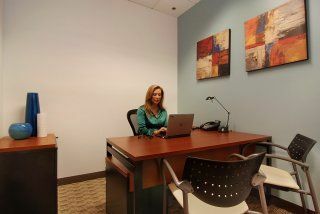 This will make videoconferencing with out of town clients and employees a very simple task. Unlike some buildings in downtown Austin, Congress Avenue has a parking structure. This is a ten-story lot that is open 24 hours a day as well as an underground tunnel between the garage and the building. You will not have to brave the elements just to get back to your car or to work. Telecommunications is provided by the carrier of your choosing, the options include Time Warner, AT&T, Verizon, and Cogent Communications. 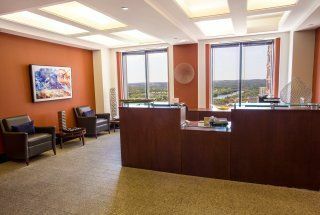 All office suites come fully furnished with full internet access ports that will be connected by your carrier. 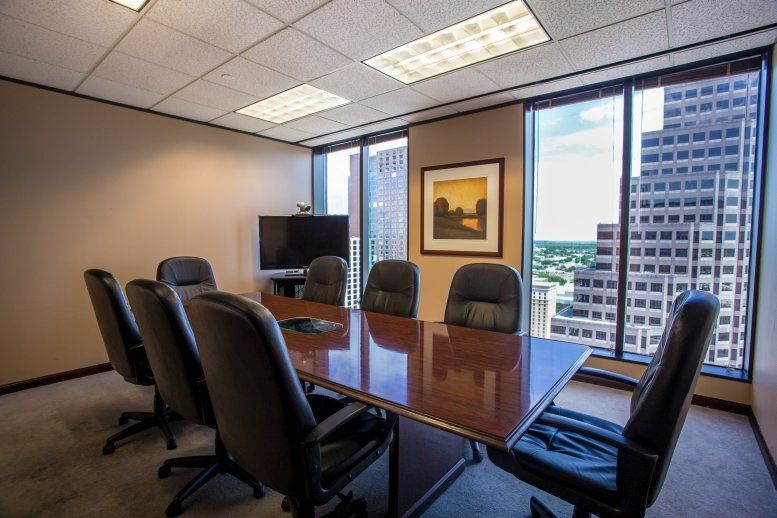 100 Congress Plaza is a building rich in history and culture, that can help you establish a company in Austin. Austin, Texas is the unmistakable home of barbecue and music. 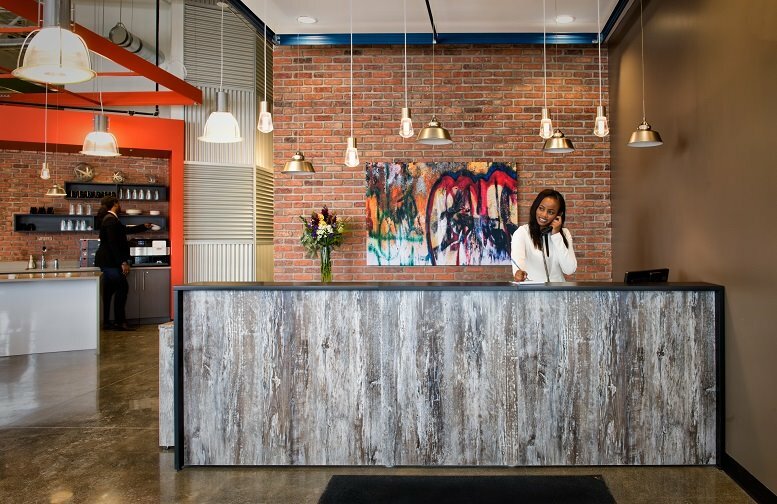 Featuring hundreds of years of southern culture and cuisine, it makes a fine home for any new company. 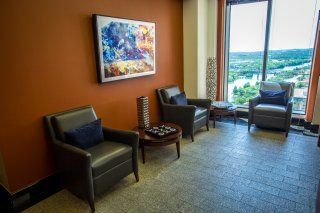 This contemporary office space is located only 11 miles from Austin-Bergstrom International Airport. An easy commute for a city this big, any out of town clients will be happy to only be in the car for a short time. It is also accessible by public transit using the 100-bus route. This building is located 0.8 miles outside the center of downtown Austin. Being located downtown means that almost all of the public transit routes will intersect around the facility and make commuting extremely easy for whoever needs it. You will also find that planning lunch meetings to be simpler when there is not a great deal of distance to be crossed to arrive on time. 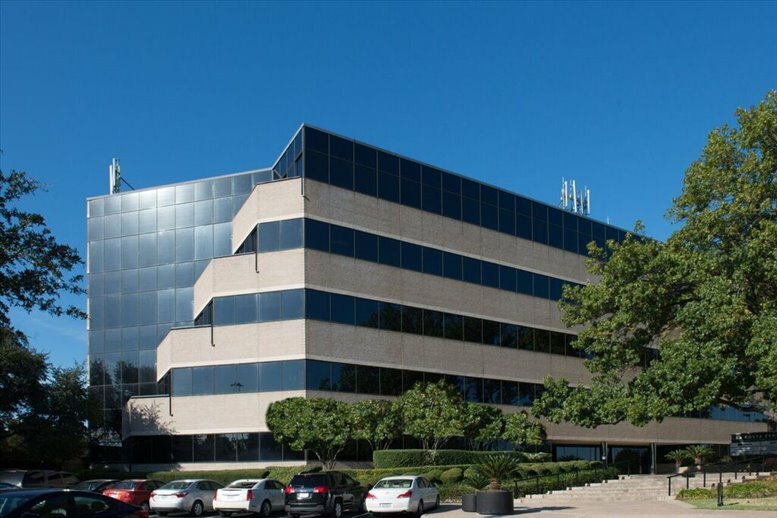 This conveniently located office building is 5 city blocks from Interstate 35, a major arterial roadway for the city. This Interstate connects to Texas Route 290 and Route 79 giving the company access to not only Austin and its outer communities but the entire state of Texas as well. This building is one of the most recognizable structures in the entire city due to its location on Lady Bird Lake. 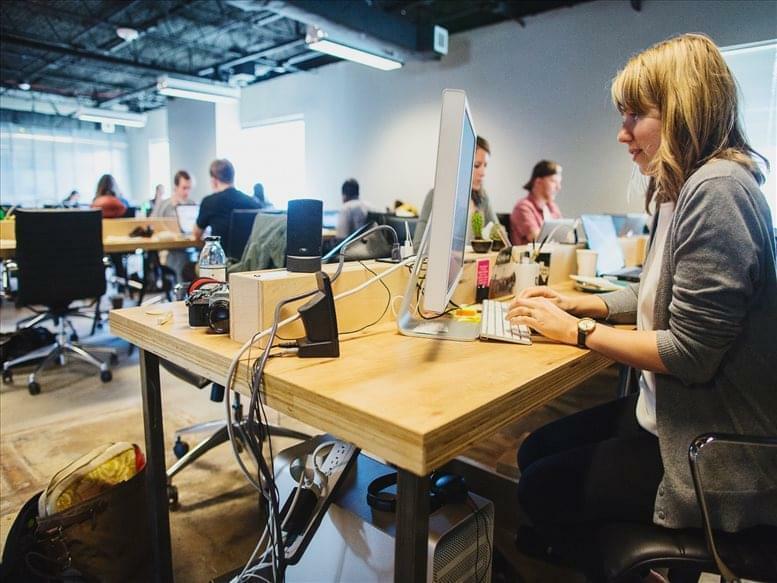 Having this notoriety for your company can be a major asset as clients will see your name on it and know that it comes with elegance and history. This office space on 100 Congress Ave, 20th Fl, Austin is available immediately. Details and prices are available by calling 1-877-693-6433 or by submitting the inquiry form.